After working on the wharves, being a chef, a professional dancer, a veterinary nurse working with wolves, apes and monkeys and achieving success as a martial artist, Jim decided to do something interesting. Since re-locating from the US to Australia in 1980, Jim has been dedicated to helping business people plan more effectively, communicate with more precision and face up to business challenges in with more courage and clarity. Jim works with major organisations planning and managing key strategic decision-making and information sharing, coaching senior executives, and building high-performing cultures. Jim has worked in depth with employees at all levels from boardroom to shop floor. 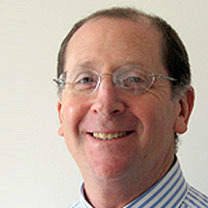 In the 1990’s Jim served as an Australian Director of the international consultancy The Forum Corporation. Prior to starting his own Australian-based consulting firm in 2006, Jim was cofounder and Managing Director of Gadria, one of Australia’s premier organizational development companies. At Masterfoods, Jim coached the executive leadership team to see past divisional boundaries and operate as a self-managed senior team. At the National Australia Bank, Jim provided intensive behavioral coaching and development planning for senior, high-potential leaders. At Ford, Jim led the development and roll-out of an initiative to create improved collaboration across all functions, including suppliers, for the design of a new major model. In conjunction with DeakinPrime, the corporate arm of Deakin University, Jim designed and trained all facilitators to deliver one of the ANZ Bank’s core leadership development programs. At Mobil, Jim designed and led the outsourcing of all non-technical training. Jim advised Fosters on the complete redesign of its leadership development curriculum. Jim is a lead global facilitator at BP working to build a more responsive and open culture. Jim’s other clients include Duke Energy, Philips (China), Sun Microsystems, Hutchison Telecommunications, Abbott Pharmaceuticals, Mercers, GHD and many others. Jim has a BA in Social Science, an MBA with a focus on strategic marketing and is accredited to use many organisational and leadership development tools including the Life Styles Inventory (LSI), Leadership/Impact, Group Styles Inventory, Organisational Culture Inventory, Organisation Effectiveness Inventory, Myers-Briggs Type Indicator (Step 2), as well as the full leadership suite of Hogan Assessment Systems including the Hogan Personality Inventory and the Hogan Development Survey, and the Motives, Values, Preferences Inventory. I met Jim working on a project with Oliver Wyman / Mercer and immediately valued his unique combination of talents and varied experience and could identify with his past in which he had explored so many different paths. He is a magnificent professional and a highly valued member of our team.